If you already own a Nokia N95 then there's really no need to go into a very detailed review of the Nokia N95 8GB since it is pretty much the same in terms of performance with a little bit of improvement in some specifications here and there. The Nokia N95 8GB is a quadband GSM phone and like its predecessor, it is capable of high speed 3G and HSDPA connections. In terms of design, there's really not much difference, the Nokia N95 8GB retained the slider form function except that the slider has slightly improved over the older version and it is relatively heavier though you won't really notice the weight. I just noticed it when I compared the Nokia N95 8GB specs over the old model. It also has a larger screen at 2.8 inch and it retained the 5 mega pixel camera. I think that the big difference lies in the fact that the Nokia N95 8GB now has no expansion slot, only the 8GB onboard memory. 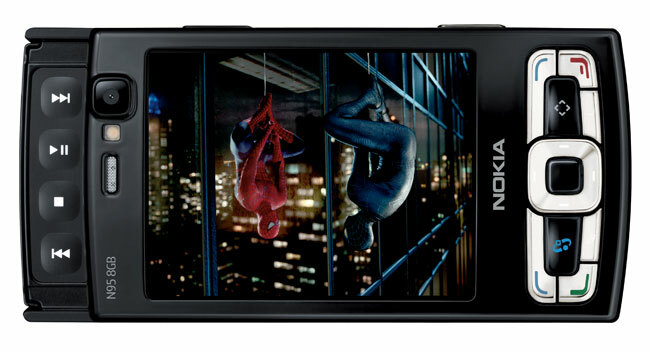 What I liked most is that the Nokia N95 8GB's slider is less prone to shifting due to its improved slider mechanism. The buttons on the Nokia N95 8GB has also improved with the music keys more raised thus giving a more tactile feel. The most noticeable improvement however, lies in it's larger screen. Pictures and videos are now more bright and sharper compared with the older model. The removable of the expansion card slot, for me, is a double edge sword for the Nokia N95 8GB. The advantage of an onboard memory is that you're no longer limited to the size of your memory card. You can now bring with you more music and videos without carrying any extra memory card. Like I said, the removal of the onboard memory on the Nokia N95 8GB also has its disadvantages. Though you're no longer limited to the size of your memory card, you are limited to the onboard memory which is 8GB. Though 8GB is ample enough for some people, it's still not enough for music and movie fans. Some would like onboard memory AND removable storage so that they can easily transfer files from one device to another, besides, with the advances in technology nowadays, memory cards now has up to 16GB capacity and you could miss out on that extra storage. Another annoying thing about the Nokia N95 8GB is that every time you slide the phone to multimedia mode, it changes to landscape mode but it doesn't automatically revert back and you have to do it manually. If you own the original N95, the 8GB version doesn't really offer much to make you want to upgrade except of course, if REALLY need a larger screen and onboard memory. For those of you who are contemplating between the two Nokia N95, it's always nice to have the extra features and the premium of the Nokia N95 8GB over the old model may be worth it.